We are reputed supplier of Temperature Controller. Also offering Compensating Cables, DataLogger, Temperature Calibration, Industrial Oven & Furnace etc. We deal in manufacture and supply of various Hi-tech electric and electronic instruments, which include, RS232 to RS485 converter units. We will here not go into the specifics of how the RS232 or RS485 protocol works, but if you are interested in this then there is lots of RS232 and RS485 information on Wikipedia, including how a USB to serial adapter works. We will however demonstrate the most common ways of connecting a RS232 to RS485 converter. RS232 to RS485 converters are mostly used in industrial and commercial environments. The reason is that the RS485 converter can be used for multi-drop networks, meaning that you for example can connect multiple RS485 devices to one computer. Up to 32 devices can be connected in one network to communicate on a single pair of wires (plus a ground wire), and the number can even be increased by using RS485 repeaters. This type of communication is called half-duplex communication. Most quality RS485 converters can communicate in this manner of up to 4000 feet (1200 meters). The RS485 converter is also fairly resistant to noise which is one more reason why it is favored in industrial environments. From the day of commencement, we are engaged in manufacturing, supplying, trading and exporting Thyristor Power Controller. A thyristor is a semiconductor device which acts as a switch, which passes current in one direction, when it is switched on and to switch on the alternative current, two devices should be connected in inverse parallel. To meet the variegated demands of customers, these controllers are available in different specifications as per the needs and requirements of customers. The Thyristor Power Controller offered by us is available at market leading prices. A range of thyristor power controllers to switch single phase loads. 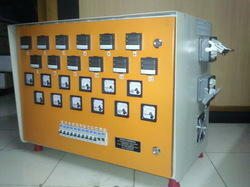 We are also instrumental in supplying Hot Runner Temperature Controller for Plastic Industries. Engineered by experienced engineers, these are practical, plug-in interchangeable modular systems that are powered with a microprocessor based self-tuning temp. controller. Based on latest technologies, these energy efficient devices are powered with many advance features like reverse, open, shorted thermocouple alarm; ground fault, open heater, loop break alarm, etc. Heater current indication in Amp. 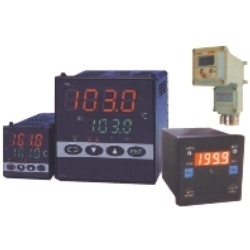 By keeping track with contemporary market developments, we are offering Flame Proof Temperature Controller. These products are developed from top grade components and advanced technology at our well-resourced manufacturing unit in conformity to the worldwide standards of quality. Owing to lightweight, finest functionality, easy to use, and high performance, the offered product is highly praised in the market. Moreover, we provide this product at nominal prices. To fit the needs of our patrons, we are engaged in manufacturing, supplying, trading and exporting Temperature Controller. 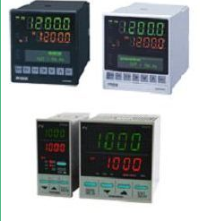 Used for temperature control purposes, these controllers are available in different sizes and models to meet the variegated demands of customers. High in accuracy and power potential, these controllers are manufactured at our state-of-the-art infrastructure unit with the aid of sophisticated technologies and techniques. Durable in nature, the Temperature Controller offered by us is rigorously tested before delivering to the customers' premises. 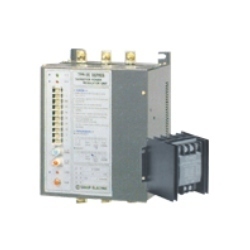 We are a well-reckoned name in the market, engaged in offering high range of RS-485 Temperature Controllers that is used in the market for various purposes. These products are made by our dexterous professionals in compliance with set worldwide quality standards using supreme quality raw material and advanced technology. Our esteemed customers can avail these products from us in different specifications at pocket-friendly prices. We have in offer precision engineered Low Cost PID Temperature Controller that has dust and splash proof front panel, which is equivalent to IP66 / NEMA4X. These are engineered from the best quality raw material and are acknowledged for their sturdy construction and durable service life. Sizes- 48 x 48 mm., 48 x 96 mm., 96 x 96 mm. We have in offer precision engineered Low Cost PID Temperature Controllers that has dust and splash proof front panel, which is equivalent to IP66 / NEMA4X. These are engineered from the best quality raw material and are acknowledged for their sturdy construction and durable service life. 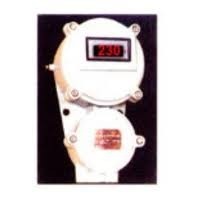 We offer an extensive range of Pressure Transmitter & Switches. These transmitters can be easily mounted on relevant machines that are used in various industrial applications. Our pressure and temperature transmitters are fabricated in accordance with current industrial requirements and can be bought at competitive prices from us. 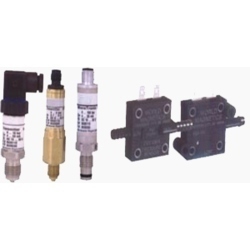 Our Pressure Transmitters & Switches come with various advanced functions which are as follows. Our Temperature Transmitters are well known for providing quick & accurate reading and equipped with many advance functions. We take pride in introducing ourselves as one of the renowned suppliers of SCR Power Controller that are fabricated using high grade raw material. These are engineered following well defined industrial procedures and are appreciated for their robust construction and excellent finish standards. They are available at competitive prices.